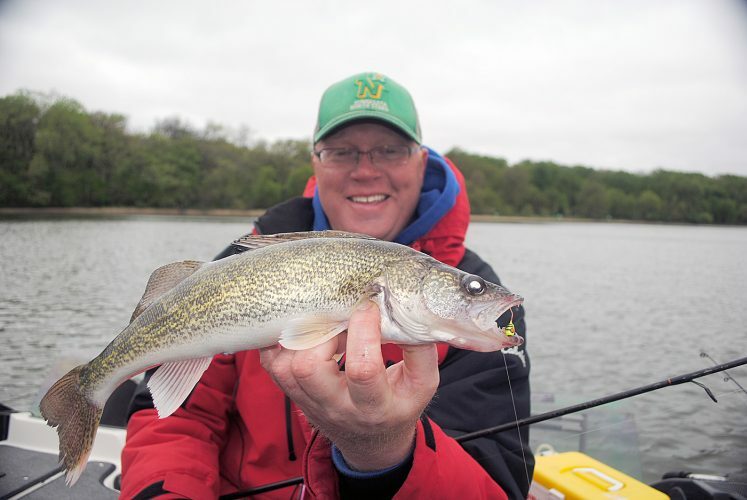 Dean Arnoldussen was fishing in the mouth of a river in the spring when this lunker walleye hit. Pretty much wherever you live in the Midwest, there are walleyes willing to be caught right now. Some states, and some areas of some states have a closed season on ‘eyes, but with just a little travel, you can get to areas that have walleye fishing happening now, and those areas are probably closer to you than you think. Following are some ways to get in on the action. Most of the walleyes that are being caught this time of year are being caught in rivers. While some lakes still have an icy cover, rivers are open. As the water warms, as the days get longer, and as the current increases, the walleyes feel the urge to start spawning. They’ve probably been feeling that urge for a while now, but the warmer water and other changes move them closer to the actual spawn time. Most of your catch this time of year will be smaller males, but there is always the chance that a big one will eat your bait. If you want a meal of fresh walleye, keep the smaller ones and let the big ones pass their genes on one more time. Most walleye chasers this time of year will be using jigs. Jigs are great walleye catchers any time of the year, but they’re especially productive now. Start with a jig/plastic combo. In many areas the walleyes will be shallow: Wading can be very productive. Water less than ten feet, and usually only two or three feet deep will be best. 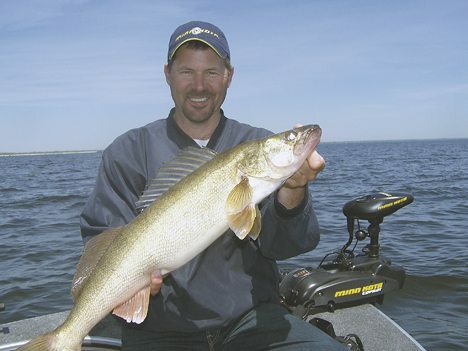 An eighth ounce jig head with a three inch tail is a favorite anywhere that walleyes live. One of the best combos is a Slurp! Jig with a Swim’N Grub body. This time of year bright colors are usually better, as the water is usually stained. Use a body color that contrasts with the jig color. Swim the jig just above the bottom. It seems like a straight, slow retrieve is most productive most of the time, but also try a slow lift/drop retrieve. If the walleyes don’t respond to this presentation, go to a jig and minnow presentation and work it slower, dragging it along the bottom. This works best on a sand bottom. Rocky bottoms will eat too many jigs that are dragged. If the walleyes are on the rocks, try using a slip-bobber to suspend the jig above the rocks. Allowing a jig to float just above the bottom as it works with the current suspended under a bobber can be a killer presentation. A slower presentation will be best when the walleyes are being fussy. A stand-up head allows an angler to work the bait slowly better than a round head. 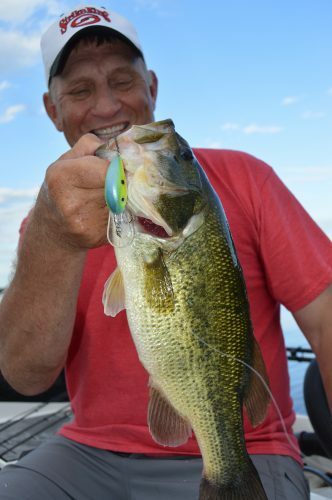 The stand-up Fire-Ball jig is a great choice. When dragging the jig, you’ll want to give it lots of pauses to give a finicky walleye the chance to eat your jig. With the stand-up head, the minnow will remain very visible to the walleye when you pause it. The minnow on a round head jig will lay flat on the bottom when the jig is paused and won’t be as visible. When you’re using a dragging retrieve, a stand-up head will catch more fish. If you’re using the jig/minnow combo, a minnow about three inches long will be best. Smaller is better early in the spring. Rivers across the Midwest are home to lots of walleyes. Now is an outstanding time to get in on that action. 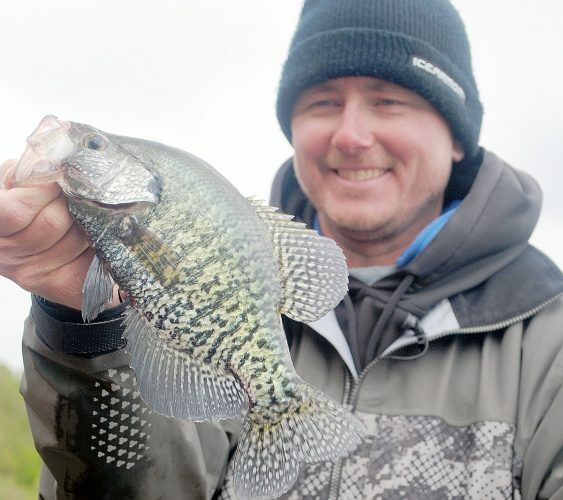 To see new and old episodes of Fishing the Midwest television, to read new and old fishing articles from Fishing the Midwest, and to see videos with fish-catching ideas, go to fishingthemidwest.com.